Home / Tips / What is a Monogram? A monogram is a motif made by overlapping or combining two or more letters to form one symbol. Monograms are often made by combining the initials of an individual or a company, used as recognisable symbols or logos. From the middle ages they have been used as signatures by artists and craftsmen on paintings, sculptures and pieces of furniture to claim it as their own art. 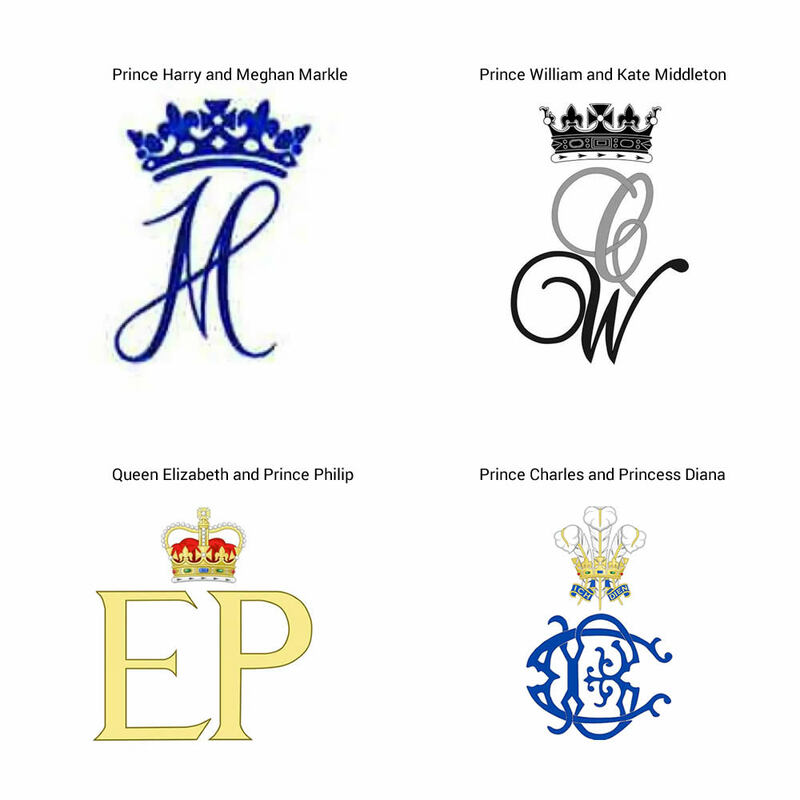 Throughout history when the royals have married they are given their own joint monogram. These have ranged from the very ornate (Prince Charles and Princess Diana) to clean and simple (Queen Elizabeth). Harry and Megan’s official joint monogram features an intertwined ‘H’ and ‘M’ in the same cursive style as both their individual cyphers. Sitting above the initials is a coronet. Kate Middleton and Prince William’s official joint monogram also features an ornate design, although their first initials are not combined. A ‘C’ for Catherine (Kate’s full name) sits above a black ‘W’, both letters in intricate cursive. A coronet sits at the top. These symbols are used on their official stationery. 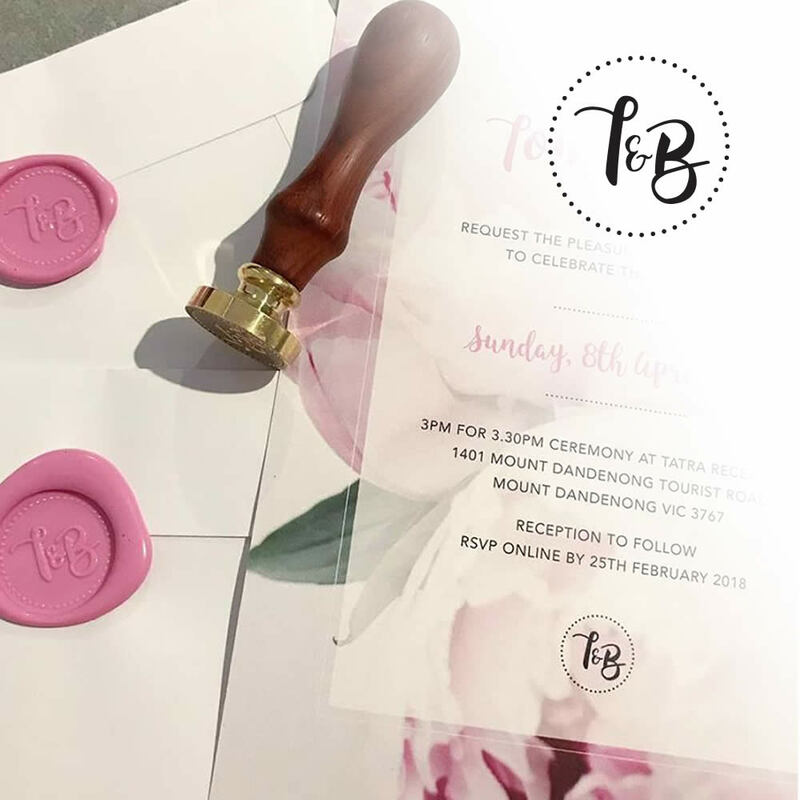 Wedding monograms have become a hot trend and look fabulous on wedding stationery, wax seals, stickers, cake toppers and lighting displays. Custom monograms can be added to just about any product these days including jewellery, glassware, phone cases, clothes, towels, cushions, and the list goes on.